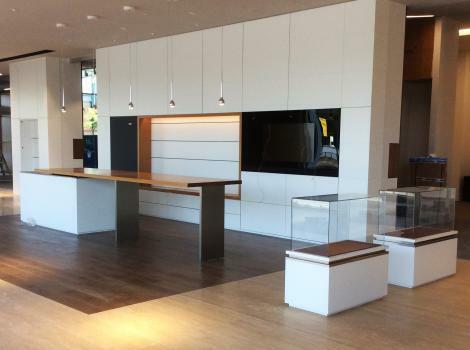 Architectural centerpieces of the new dealership include a grand reception area, coffee bar and elegant display areas for vehicles. 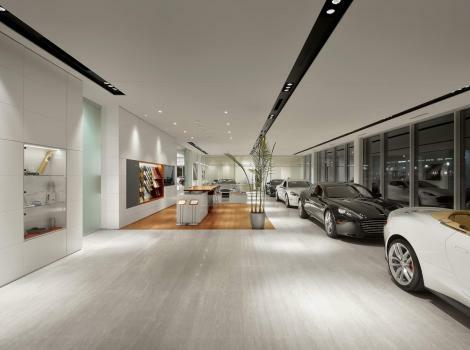 A long hallway running the length of the Aston Martin showroom features extensive glass enclosed casework with personal touches that represent the past and the future of Decarie Motors and its luxury brands, Aston Martin, Bentley, Jaguar and Land Rover. 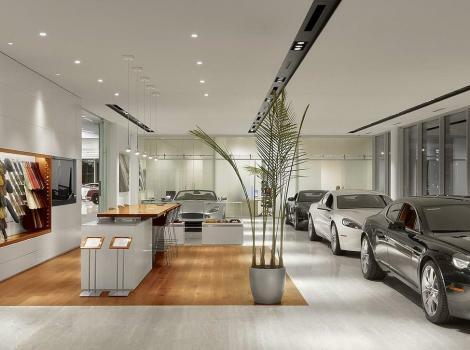 The design of all the casework in the showroom follows both the vertical and horizontal lines of the travertine tile used throughout the building. 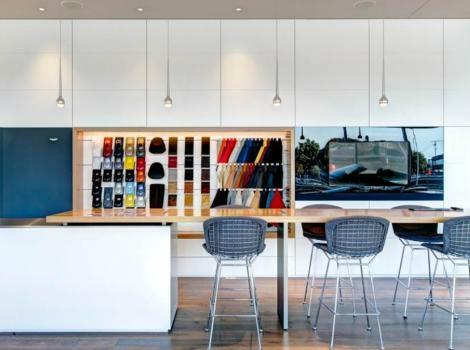 This creates a strong design element that i.M. 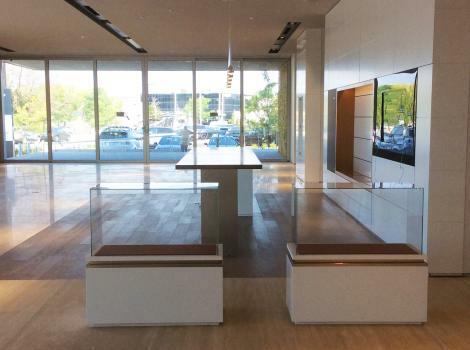 Branded’s highly skilled installation crew was able to maintain as they installed casework pieces throughout the space.